When you sit in a room with Melissa Munson-Merritt, you can’t help but feel her excitement about education. Simply talking about being an educator can make her emotional. 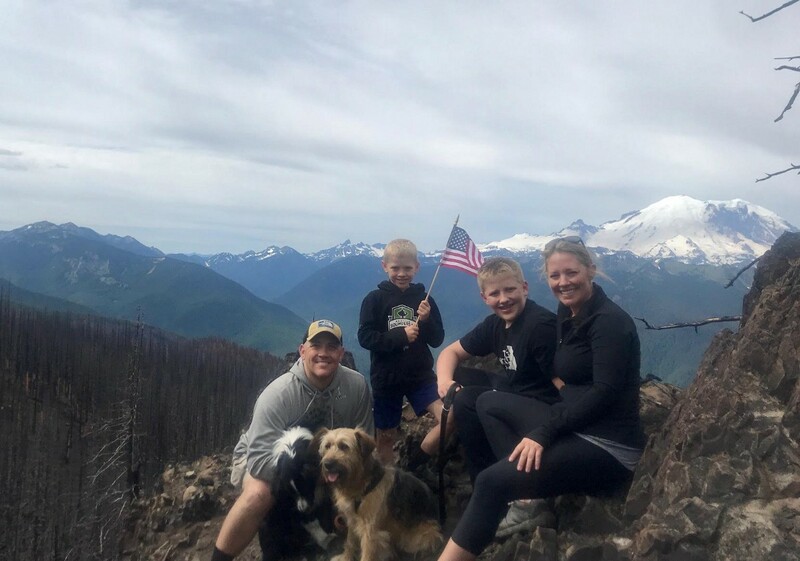 The Camas Prairie Elementary school principal is incredibly passionate about working with children, and her eyes well up as she reminisces about her time in the classroom. For Munson-Merritt, being a teacher is about more than just imparting knowledge — it’s also about giving children a place to be safe, cared for, and valued. Much of that desire stems from her childhood in Puyallup, which was often chaotic thanks to a family member who suffered from mental illness and addiction. “I was very normal looking on the outside. I lived a normal, middle-class life, but inside, the house crumbled every day,” she said. Munson-Merritt was a good student who loved working with her teachers, but the idea of becoming a teacher herself never entered her mind. She thought something in the business world might be fun, but she was open to exploring all kinds of careers. After graduation, she and her high school sweetheart got married. He joined the armed forces and was stationed at Fort Hood in Texas. For a time, Munson-Merritt stayed in Pierce County and worked as a photographer for a local home and garden magazine. She eventually gave up that job so she could move to Texas to be with her husband. Melissa Munson-Merritt and her family. Their family expanded when Munson-Merritt gave birth to her first son. It was a life-changing moment in many ways — both emotionally and in terms of her future career. She began her studies in Texas before heading back to western Washington to get a masters degree at Saint Martin’s University in Lacey. While she was still at Saint Martin’s, Munson-Merritt found her first job in education as a recess supervisor and paraeducator for Chief Leschi Schools. Her husband was later transferred to Joint Base Lewis-McChord and the family was finally all together. Her first full-time teaching job was at Spanaway Middle School, where she taught seventh grade social studies and English Language Arts. To say she loved her job would be an understatement. She remembers a time when Superintendent Tom Seigel visited the school and asked how she was enjoying her work. “I literally said to him, ‘It’s like the heavens just opened up.’ It was just such a great place to be with such supportive people,” she said. While working at Spanaway Middle, Munson-Merritt was approached with an offer to become a TOSA, or Teacher On Special Assignment. Always up for a challenge, she accepted the job and began working with Bethel teachers on all aspects of digital learning. It was an interesting position, but it meant that she would no longer be working directly with children. While she enjoyed many aspects of the job, she couldn’t get over that nagging feeling of wanting to be back inside a school. “The energy you get from being in a school building is so awesome. I really need that. That’s the whole reason I came into teaching and I needed to be with kids,” she said. After considering all of her options, Munson-Merritt came to the conclusion that the best of both worlds would be to become a principal. And with that, she headed back to school to get her administration credentials. After a yearlong internship at Cedarcrest Middle School, Munson-Merritt was offered the position of assistant principal at Camas Prairie. She was thrilled with the work and would have been perfectly content to continue on as an AP, but when the school’s former principal left the district at the end of last year, Munson-Merritt was left with a big decision: to apply for the job or not. She knew other applicants might have more administrative experience, but she believed her own long history in schools — combined with her passion for children — made her a unique candidate for the position. When Munson-Merritt was chosen as principal, she knew she had a big, exciting challenge in front of her. 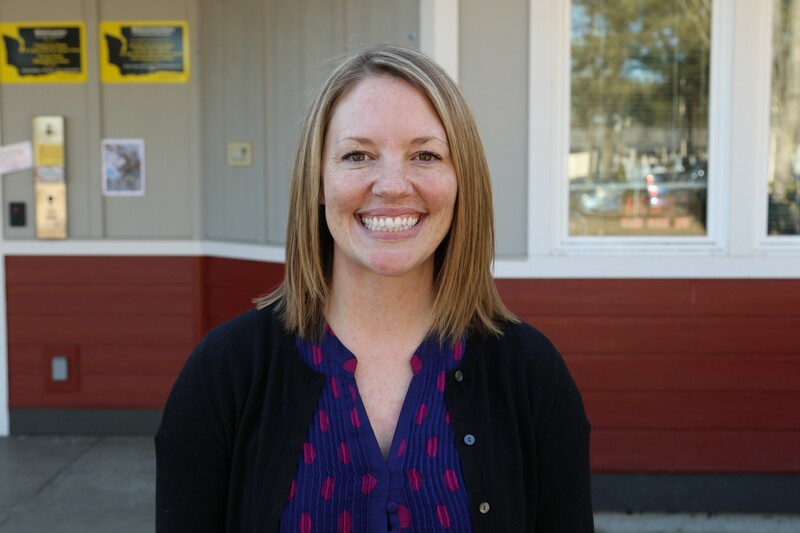 She has hit the ground running in her first year on the job, and she calls herself “the luckiest person on earth” to be the principal at Camas Prairie. She loves everything about her job, but she especially enjoys helping her staff reach their potential. “I tell them all the time: I’m like the street sweeper. All I’m doing is clearing the path. You’re doing all of the amazing work. I want you to shine. I’ll just clear the stuff out of your way,” she said. The job definitely has challenges, but Munson-Merritt sees them as good challenges. She feels like everyone is working to make Camas Prairie the best school it can be, and she’s incredibly excited to see what the future holds.